Brando knows just how many of us out there have a myriad of memory cards to fiddle with, which is why there is always room for one more memory card reader. This time round, Brando has taken the shrinking gun and fired a good dose of its miniaturizing ray which resulted in the Mini USB MicroSD/T-Flash + M2 Card Reader. 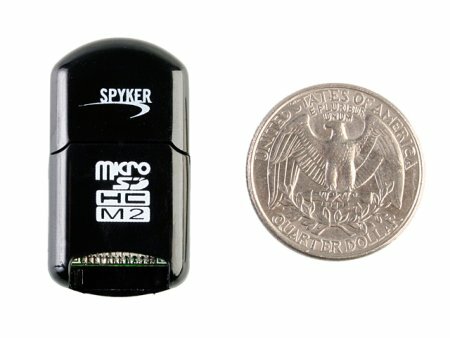 Almost as small as those wireless Bluetooth dongles that fit into your USB port, this diminutive memory card reader does microSD and M2 memory cards for those who tend to do a whole lot of file transfer. We’re guessing cell phone users will be the main target market, although a small segment of you out there who play with ROMs on the DS Lite and PSP will pick up this $12 device as well. The newer microSDHC format is supported as well, and you can choose from black or white colors.